Angela Cobb is shown with one of the many bass she caught on opening day at the Fayette County Lake. 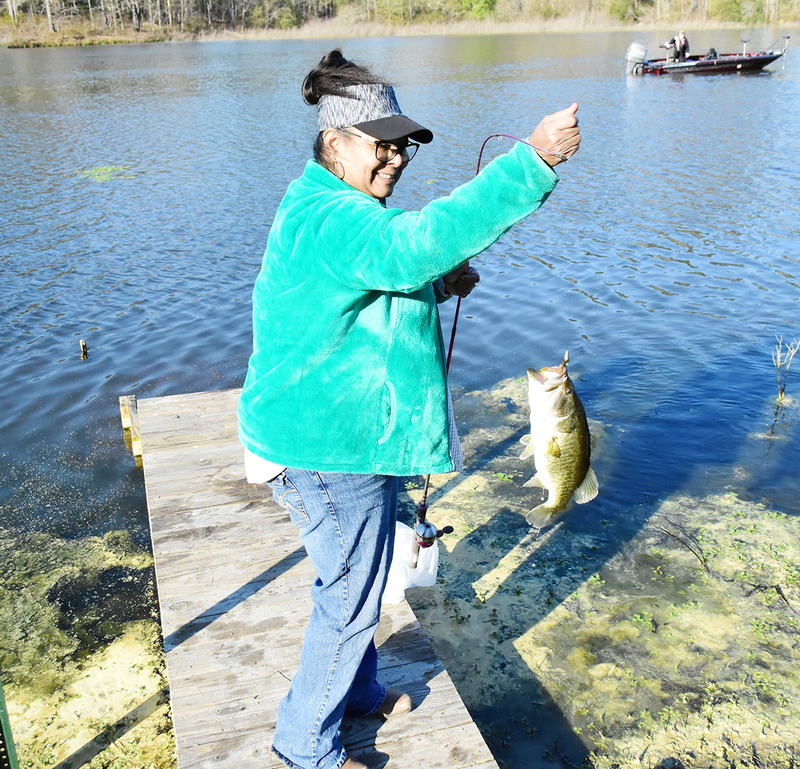 After being closed for the past four years, the Fayette County Public Lake had a successful reopening on Thursday, March 28, much to the delight of numerous anglers in the area. The 60-acre lake had been restocked with bluegill, shellcracker, bass and catfish, and the fish were eagerly awaiting the hooks and baits being thrown into the water by the patrons who had waited so long for the lake’s reopening.